There’s nothing as powerful as learning from the experience of successful people in the startup world when you’re trying to build a new startup. Therefore we’re proud to present you with a couple of blogposts where startups in the portfolio of early stage investor PreSeed Ventures help you implement some of their key learnings in your own startup. Not an easy task when the topic is the complex world of metrics and KPIs but if anyone can it’s CEO of Pento, Jonas Bøgh Larsen and CFO of Templafy, Jakob Ekkelund. Jonas Bøgh Larsen, left, is the founder and CEO of Pento and previously founded Greenticket and Hivebeat. Jakob Ekkelund, right, is the CFO of Templafy and a former telco exec and VC who sat on the board of several prominent startups incl. Vivino, Mofibo and Penneo. Jonas and Jakob are ready with directions for how to work with metrics and KPIs throughout a startup’s lifecycle. While Pento is barely two years old, Templafy recently closed a 100 million DKK Series B funding round led by American VC, Insight Venture Partners. That maturity-span facilitates an understanding of which methods and approaches to metrics are appropriate in each phase of developing a startup. Regardless of stages the old school ‘banking way’ of evaluating companies doesn’t quite apply in tech startups (SaaS). As there are big upfront costs while the revenue comes in later. That makes metrics vital because they provide a powerful alternative for tracking how your business performs – if you do it right. It’s a quite simple advice: avoid wasting your time chasing vanity metrics. While they express impressing numbers, they’re empty indicators of e.g. peaks in page views, downloads or number of press coverage. It might show you are generating attention but says nothing about how your business is really performing. You can only use that type of data if those page views translate into customers or the app downloads translate into active users. If you can make the translation you can look at vanity metrics especially in the beginning where you might not have a lot of data, but don’t be deceived, nobody else will. One thing is to know you need to test initial assumptions and ideas as they’re most likely wrong. Another is to know how you do it. You collect and use data. KPI’s and metrics are essential in knowing you stay on track. And that applies whether you’re a brand-new startup or a seasoned founder that has closed a Series B or A funding round. Testing is like a line of experiments. You gather data to learn from each experiment and tweak things accordingly – also called the build-measure-learn cycle. Collect your data from day one! The earlier you start collecting and analysing data the clearer a view you can get on the situation of your company. You need to be consistent and methodical. To help yourself get a good CRM-system from the get-go. Otherwise you just need to replace it later, which will be costly and time-consuming. You might as well get a version suitable for later stages early on. That doesn’t mean you need to use it in full extend from day one. Looking at Templafy’s reports can be overwhelming. It's very advanced because they are very far. You don’t need that initially! But the question is then how do you define which metrics are relevant for your progress and accordingly figure out what data you need and don’t need? In a younger startup focusing on one metric at the time is a favourable approach. You can have secondary metrics, but only if they pay into the primary metric – the OMTM (One Metric That Matters). You define an OMTM based on your success-criteria and it has to be measurable, actionable and improvable – if you can’t measure it, you can’t improve it. Some of the early metrics to consider are payback time and CAC (Customer acquisition cost). Payback time is a calculation of how long time it takes you to cover the cost of acquiring each customer (CAC). It helps you set goals for how long you need to retain customers. The cost of getting customers (CAC) can be quite high at the beginning that shouldn’t be a big worry, but you need to track it to know if you’re improving it. In more mature stages there are three essential areas of interest: Profitability, cash and growth. Of course, this isn’t simple to work with but there’re a few guidelines and rules of thumb you can use. Profitability can be measured by looking at your customer lifetime value (LTV) and CAC. LTV is the equivalent of Payback time but in later stages, you have more data, therefore, you can begin to define how much value your average customer generates over their entire time as a customer. As a rule of thumb, your LTV should be three times your CAC. Cash concerns how fast you earn back the money you spend, which you measure by comparing your CAC to your Average Revenue Per User (ARPU). Ideally, your payback should be around 12 months. Finally, there’s growth. You need to be able to document how your growing and through which channels, so you know where your growth comes from, what works and where you need to direct your attention. Customers are where you make your money, so you need to make them happy. Happiness might seem like a soft value but even that should be measured not only because you earn money from them but also because they can be an important source for promoting you to potential new customers and help you define improvements. In general, you shouldn’t do the mistake of only focusing on getting new customers. For that, you should focus on the net promoter score (NPS) – how like are your customers to recommend your product to others. In Pento it has been a strong tool to hire a customer success manager to nurture customers, calling them directly to ask about their satisfaction. In Templafy another strong tool has been the customer health score – measuring how much the customer uses the product, how many different products they use and so on. If you found Jakob and Jonas’ pearls of wisdom valuable you should stay tuned on our blog as we strive to always provide you with valuable startup guidance. 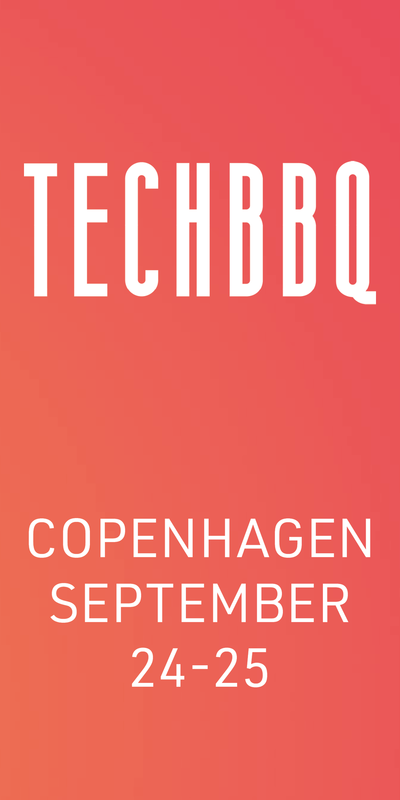 Most importantly you should hurry up and buy your ticket for TechBBQ to meet up with prominent investors, founders, talents and participate in our full programme of talks, debates and workshops. And the rest of the year PreSeed Ventures provides you with an extensive range of advice and learnings at their startup school PreSeed Academy. For more learnings on metrics and KPI's, check out this talk that Jakob Ekkelund gave at PreSeed Academy on exactly this topic.